Custom Christmas Ornaments are a great Christmas tradition. In 2008, my wife and I wanted to spend Christmas Eve with her family, but needed a place to stay, so we spent the three days before Christmas at a hotel near her parents’ home. This was no ordinary hotel. This place is super luxurious (marble walls!) but it’s located in a business town that all but closes for Christmas. That means the hotel is empty and the rooms are cheap, but the service is still out-of-this-world good. We enjoyed those three days of rest before Christmas festivities so much that now we go back every year. It has become a tradition of ours that links us to the happy beginnings of our marriage, and gives us a few days of rest during the Christmas rush. While that first hotel stay was never intended as the start of a tradition, it quickly became one and is now something we both deeply value and look forward to every year. Our Western culture is quickly racing towards post-Christianity and it feels more and more like what is “important” to us is based on what’s important in the most recent 72 hour news cycle, not what we were raised to consider as important. Yet, somehow, the mysterious nature of family traditions still has a power that ultimately connects us from year to year and generation to generation. For many, traditions aren’t even recognized until they are a few years old, and people start planning them into their routines without really considering why. As the digital world continues to take over our priorities, we have an opportunity as churches to lay the foundation for a tradition of annual Christmas Ornaments that can be passed on for years, and prayerfully generations, that will express our devotion to our church, faith, and families. 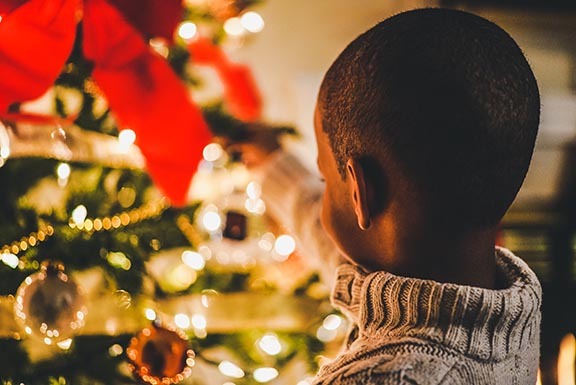 The vast majority (if not all) of guests and regular attendees in your church are likely to have some form of a Christmas tree in their home decorated with lights, ornaments, and maybe some stale popcorn, too. As such, a Christmas ornament is a natural fit for including your church into the existing traditions that people already have. Christmas ornaments come with the added benefit of automatically being part of next year’s Christmas tradition. 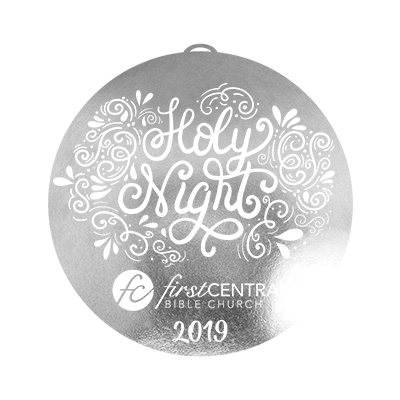 As folks put up their Christmas trees next year, your church will already be part of it because of this year’s ornament! Additionally, if well marketed, you can create a sense of anticipation for people to attend your Christmas services so they receive their annual ornament and continue their new family tradition for years to come. Let this year be the year your church starts a new tradition for your guests and members that fits perfectly into their existing lives and traditions - custom Christmas Ornaments.